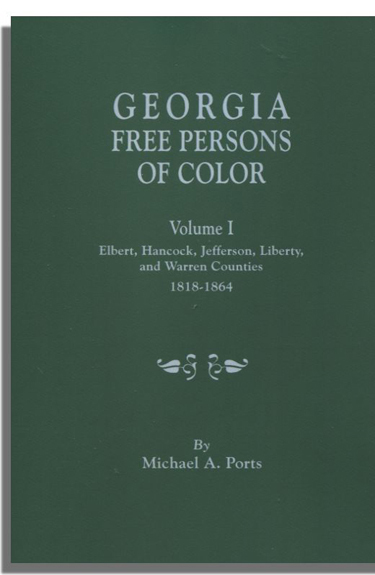 This volume is a transcription of the free black registers for the Georgia counties of Elbert, Hancock, Jefferson, Liberty and Warren. Mr. Ports has arranged the contents of the record books in a series of tables, county by county and chronologically thereunder. A full-name index at the back of the volume provides for easy searching. Because the recording styles of the county clerks differ one from one another, or from year to year, the author has provided an overview of the registers he found in each county, references to any gaps in the registers, handwriting irregularities or peculiarities, and so on. 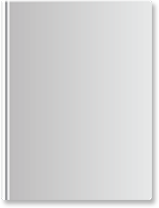 In addition to the required information, a few clerks recorded the registrant’s height, weight, skin color, and name of their guardian.